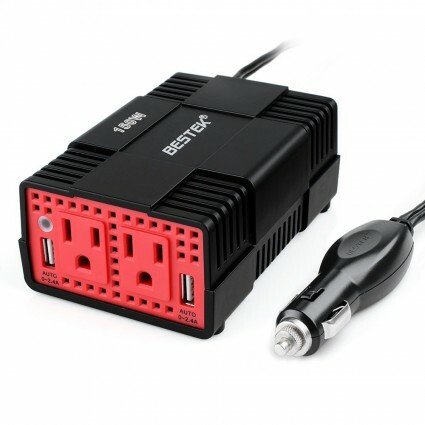 BESTEK power inverter 150W has dual AC outlets plus two USB ports, can stay powered up while on the road. 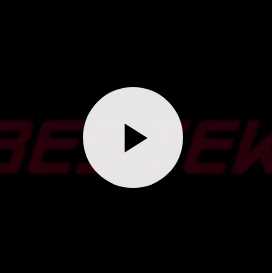 Keep your laptop, phone, tablet or other devices charged and running all the day. I just received my inverter and took it on a road trip with me. It did a great job. So far so good. Perfect for business man or someone who need spend much time on the road. It can handle the power outrage problems to charge cellphones and other electronic products during the trip. The inverter works great and silently on the road. I often use it for camping and traveling. Awesome product. You can use laptops, cellphones, music players gps freely on the road trip. Traveling becomes easy with this inverter. Highly recommend this if you need to use trucks or car for a long time. Comes with 2 AC outlets and 2 USB ports, can keep all devices on the go. Get one with discounts and surprisingly works well. Worth the money. I got it last week and works fine so far. It is perfect with dual USB ports. I use it to charge my laptop and cellphone in car. Compact designed. We use it for camping and children can enjoy happier with power for iPad and cellphone. Works perfectly for charging laptop, cellphones, etc. while on the road. Works great with no issues at all.